CFI Brief: Chart Supplement U.S. Earlier in 2016, the FAA renamed the Airport/Facility Directory (A/FD) to “Chart Supplement U.S.” The FAA made this change to bring the publication in line with specifications under the Interagency Air Cartographic Committee (IACC). Not all that important why it was done; what is important is the fact that the name has changed. The information contained within the Chart Supplement U.S. is no different than the information that was contained in the formerly named A/FD. There are a total of 7 regional supplements issued for the lower 48 states, Puerto Rico, and the U.S. Virgin Islands. 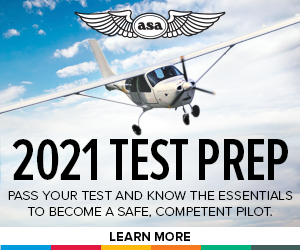 Each supplement contains invaluable pre-flight planning information for pilots. A complete listing of public-use airports, including seaplane bases, heliports, and some military facilities. The airport entries will include such information as airport location, elevation, runways and lighting facilities, available services like fuel and oxygen, air traffic control frequencies, and nearby navigational aids to name a few. Some airport entries will also contain additional textual information concerning operations at that particular airport; this is known as the Airport Remarks section. For example notes on wildlife activity in the vicinity of the airport, noise abatement procedures, or specific hazards associated with operations conducted at that particular airport. Here is an example of the Airport Remarks for Walla Walla Regional Airport (KALW). AIRPORT REMARKS: Attended 1400–0230Z‡. Self svc credit card fueling facility lctd 600´ north of twr. 24 hr fuel svc call 509–525–9851. Sfc conds unmonitored 0430–1130Z‡. ARFF svcs avbl dur scheduled air carrier opr. Clsd to unscheduled air carrier ops with more than 30 pax seats exc PPR call arpt mgr 509–525–3100. Rwy 07–25 clsd to scheduled air carrier. Rwy 07–25 dalgt use only. Twy C, west of Rwy 02–20 dalgt use only. Rwy 07–25 large cracks and sfc variations may impair directional ctl. As you can see from the sample, many of the words are abbreviated which can take some getting used to. You can find a listing of abbreviations in the legend on the first few pages of each of the 7 publications. In addition to airport information, the Chart Supplements will provide airport diagrams, preferred IFR routing, a directory of FAA telephone numbers including key air traffic control facilities, and special or regulatory notices. Again this is just a sampling of some of the information contained in the Chart Supplements. Every 56 days each of the 7 regional supplements are updated and published. The front cover will list the area covered (i.e. South Central U.S.) by that supplement and the effective dates of use. As a pilot, you want to make sure you are using a current and valid copy. The information contained in the Chart Supplements U.S. is usually the latest available information in print and should be used in preference to information given on the back of charts if conflicting information is identified. It is important to cross-reference NOTAMs with anything printed in the Chart Supplements; the NOTAM information will take precedence where any differences appear. 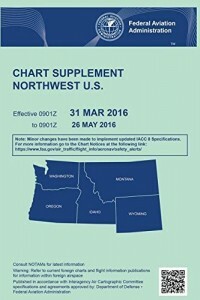 The Chart Supplement U.S. is also available and searchable in an online format through this link.